Carry your travel essentials in style with this handy set. The organizer measures 12″x27″ when open and folds to a compact 12″x9″x3″ for storage. Three see-through pockets make everything easy to find and deep zippered pocket on the bottom is perfect for bottles, tubes, and larger items. 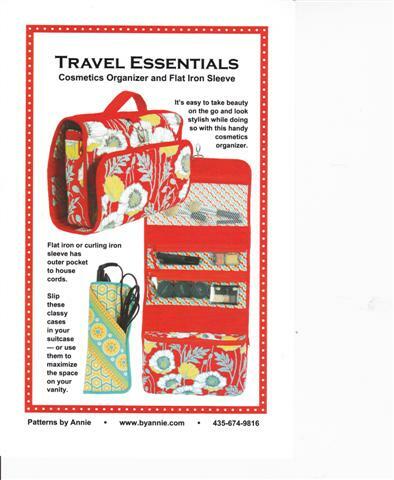 This organizer would also make a perfect carrying case for transporting sewing supplies and projects to classes! !